Looking to stay dry or beat the heat in the shade, along with having electrical outlets and compressed air at your workspace? Blackhawk Farms Raceway offers garage and overhead space for your convenience. We have three different options available. Please contact us at 815-389-2000 to reserve your spot! Want to participate in a BFR Track day but don’t have the necessary safety equipment? Blackhawk Farms has you covered with our equipment rental program. 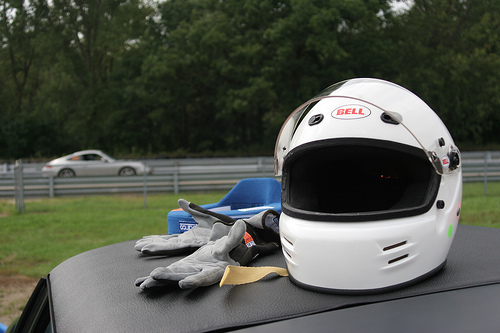 BFR’s Pit Stop store carries rental helmets and head socks for automotive track days. Helmets are only available for rent for BFR automotive track days, not test & tune or racing events. Daily helmet rental is $25. You must purchase a head sock for $12.50 in the Pit Stop if you do not have one. Please fill out the rental form and return to the track office prior to your event.